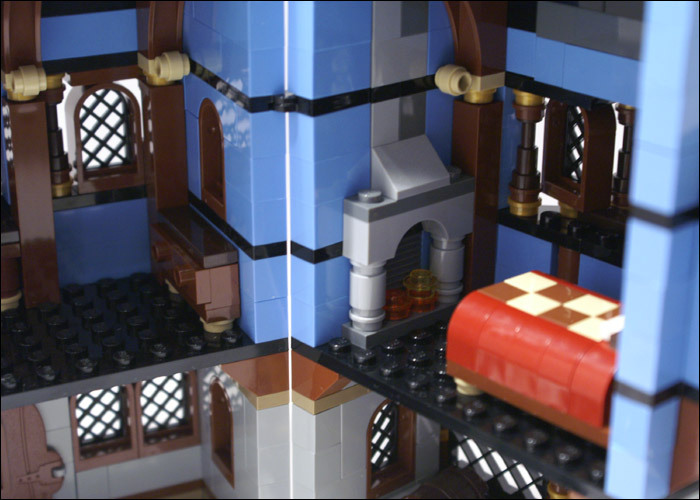 Expand your LEGO' Castle kingdom! 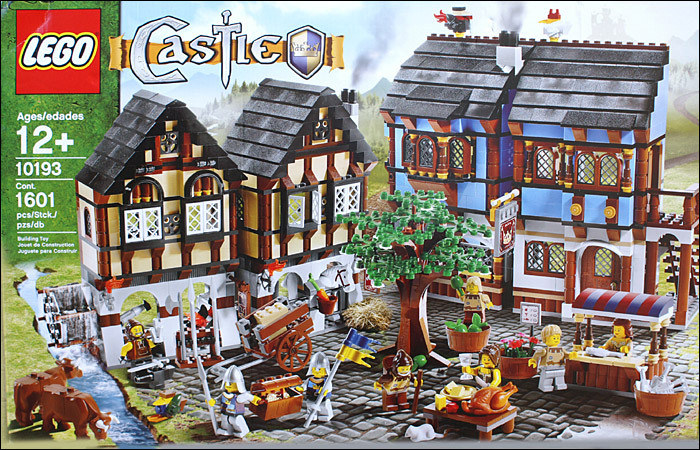 This classic medieval village with marketplace is a perfect match for any LEGO Castle. Full of authentic features, fun accessories and all-new animals to expand and enhance your kingdom; it includes two complete buildings with detailed interiors like a blacksmith's shop with waterwheel-driven hammer, a food stand, tree, table, cart, cows, chicken, rooster, duck, peasants, knights, rare elements and colors, and more! Play inside! 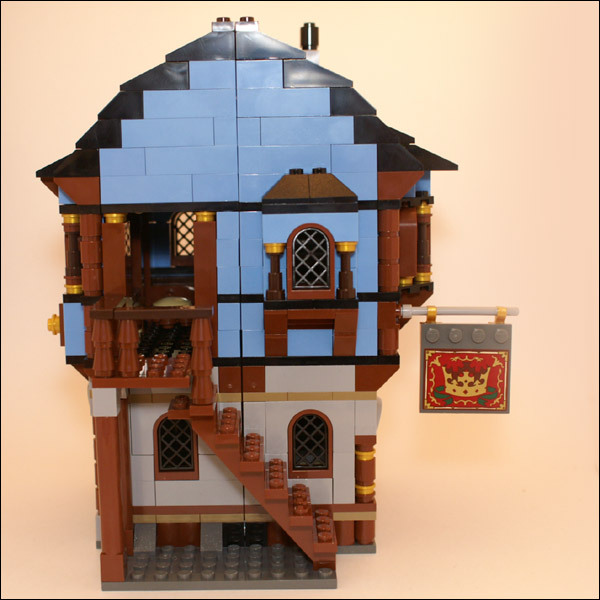 The 2 two-story buildings feature a hinge system that allows you to open and close them as you wish! The yellow building contains the stables, blacksmiths shop and his home upstairs! 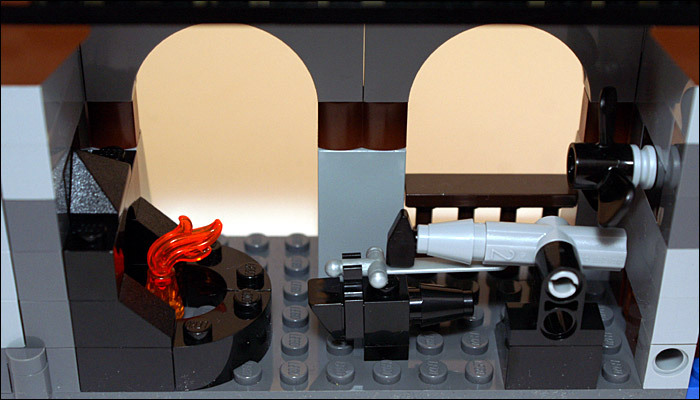 Help the blacksmith forge the swords with the water powered trip hammer! Don't forget to close the stable gates and feed the horse some carrots! The classically European styled blue building features a cozy tavern on the first floor and welcoming bedroom on the top floor. Lots of authentic touches: fireplaces in the bedrooms, pictures on the walls, dressing tables, working doors and windows and other interior details! 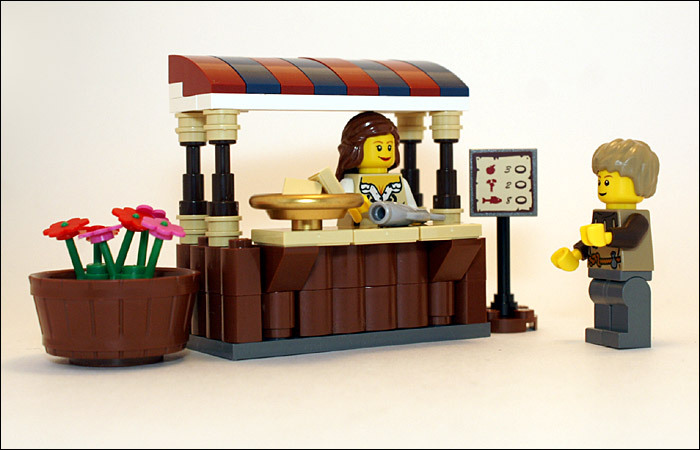 The soldiers and peasants alike shop and eat in the marketplace filled with baskets of fish, apples and flowers. Sit at the table for a meal of cheese and whole turkey but stay out of the way of the soldiers carrying the kings treasure! 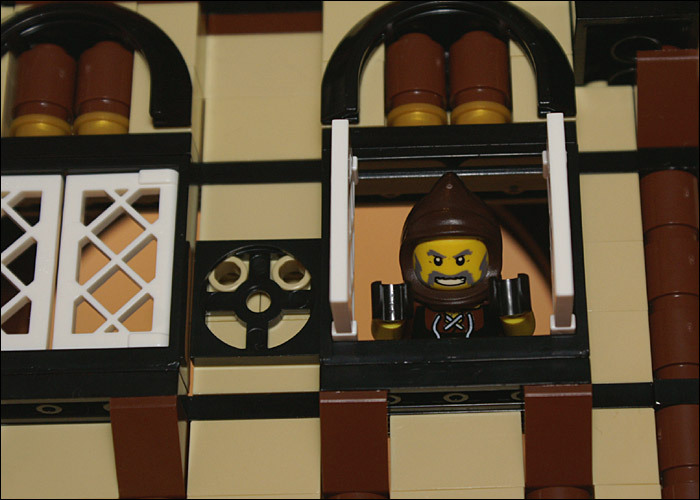 Includes 8 minifigures: blacksmith, 2 soldiers, 2 male peasants, 2 female peasants and a boy minifigure! Buildings measure over 7.5 inches (19cm) tall and over 9 inches (22cm) long when open wide!